Where state funding falls short, the Wisconsin Veterans Museum Foundation provides funding support to further the Museum’s Mission to acknowledge, commemorate and affirm the role of Wisconsin citizens in shaping America’s military past. 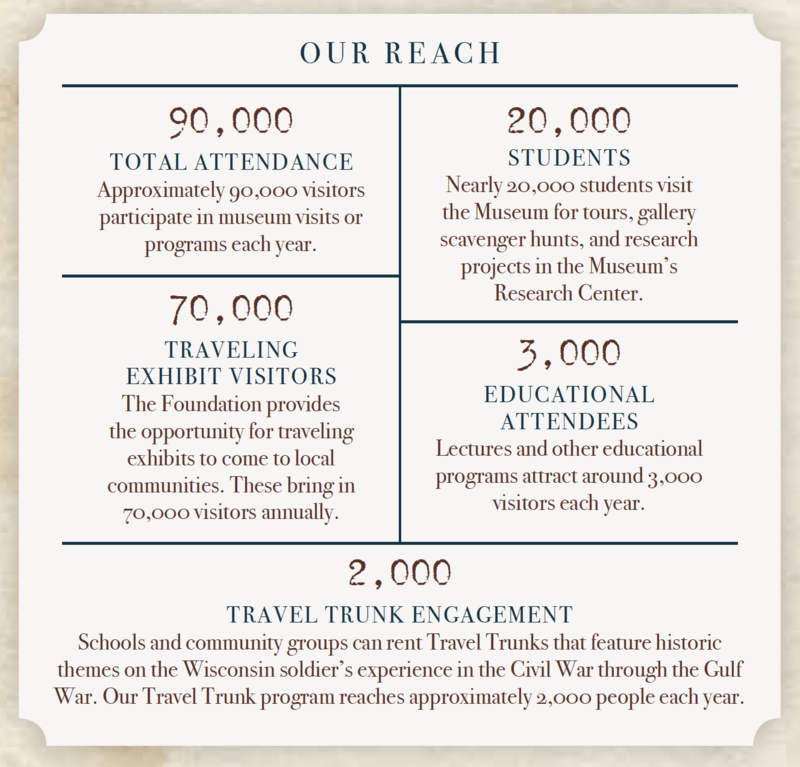 Our donors support new exhibits, public programs, artifact acquisition and conservation, and educational outreach efforts. It is the supplemental revenue contributed through the Foundation that creates the margin of excellence befitting the legacy of our state’s veterans. The Wisconsin Veterans Museum Foundation provides funding for Talking Spirits: Forest Hill Cemetery Tours. On the 90-minute walking tour, local actors share Civil War stories through portrayals of Wisconsin Civil War soldiers and citizens buried at Forest Hill Cemetery. This award winning series is the Museum’s largest annual program, seeing over 2,500 visitors each year. The Wisconsin Veterans Museum Foundation funds conservation of the Museum’s rare collection of Civil War battle flags. These flags are preserved and available for public viewing in the galleries on a scheduled basis and online at www.wisbattleflags.com. Along with the Museum’s permanent galleries, the Wisconsin Veterans Museum Foundation helps fund traveling and temporary exhibits. The most recent exhibit, Beyond the Trenches, commemorates the centennial of World War I by telling personal accounts of the Great War through the eyes of Wisconsin veterans. The WVMF is a 501©3 nonprofit organization. 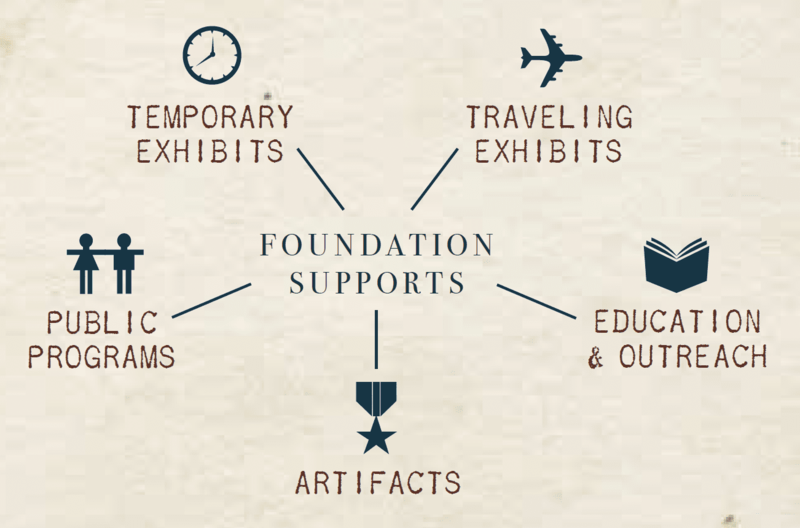 Donations to the Foundation are tax-exempt to the fullest extent allowed by law. To learn more or make your donation today contact the Foundation Office at (608)261-0536 or at join.give@wvmfoundation.com.